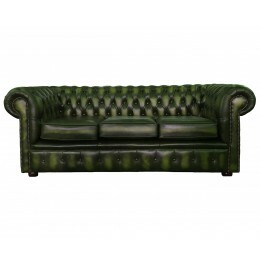 The Chesterfield is a world renowned sofa collection and this traditional original low-back design truly reflects that. This 100% Genuine Leather 2-seater sofa is carefully and masterfully crafted by our own tradesmen in the United Kingdom, who are experienced in designing and creating traditional English sofas. 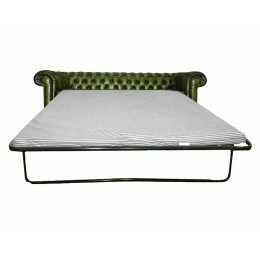 The sofa is individually buttoned and finished off perfectly with brass tarnished beading and solid Mahogany Bun feet. The seats, arm rests and back are filled with high quality density UK specification foam. 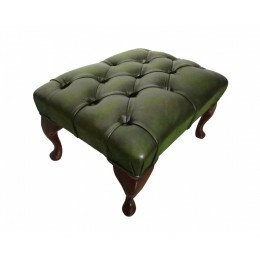 The frame is made only from the highest quality hard wood which is glued and stapled together to give a long-lasting life, a trademark of a true Chesterfield. 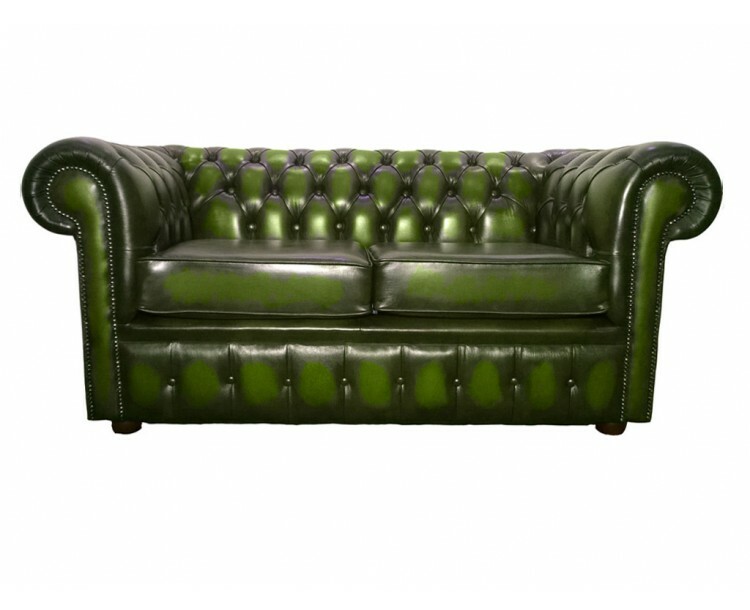 The Chesterfield 2-seater sofa will not only be great addition to any living space but will also add a touch of class and character, either in a modern or traditional setting. Choose from our four Antiqued colours, Oxblood Red, Antique Green, Antique Brown and Antique Blue. It is also available in the "Shelly" range, either Black or White. Our deliveries to England, Wales and selected areas in Scotland will be done via our two man delivery service or our pallet delivery service, all other areas please see our Terms & Conditions for more information or Contact us.